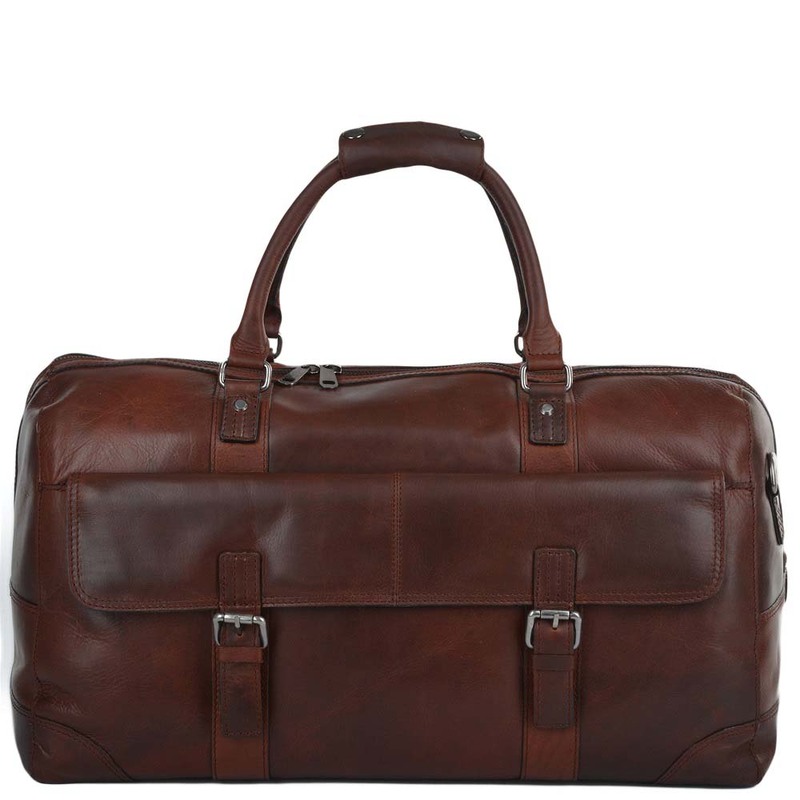 This Ashwood Francis holdall is ideal as hand luggage or for a weekend away. 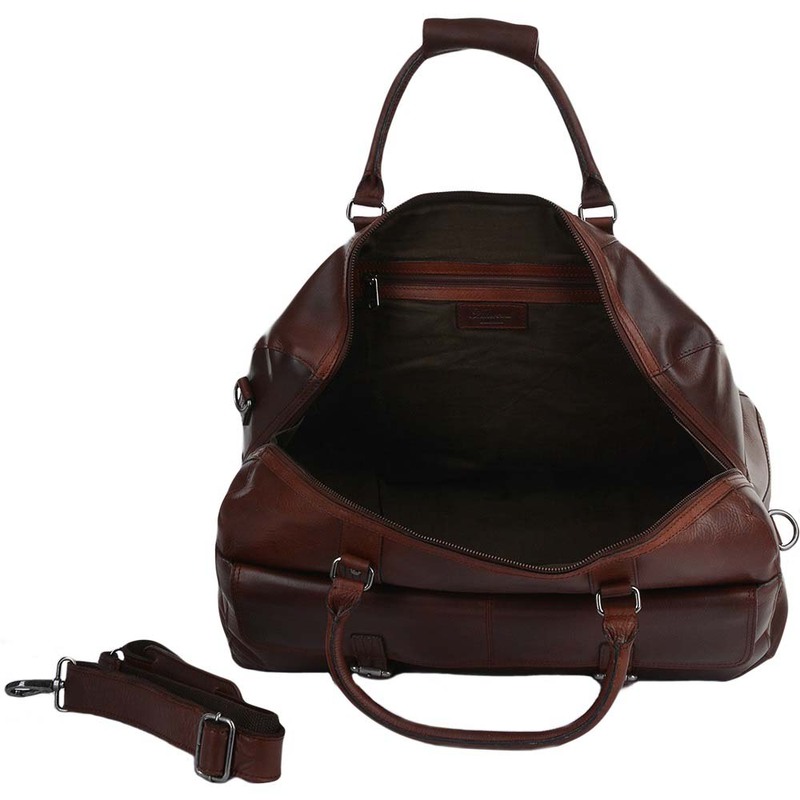 With a zip closure to the large internal pocket and flap pocket to the front a removable and adjustable shoulder strap leather carry handles fully lined and the base has five metal studs to keep the leather from scuffing when rested on the floor. Dimensions (L) 50cm (H) 27cm (W) 26cm.